CF-CZO with sister CF-CZP looking sharp on DHC photo shoot. CF-CZO storm damaged at Sioux Lookout, Ontario. C-FCZO parked at Cooking Lake, Alberta. • CF-CZO Canadian Pacific Air Lines (CPA). Delivered on 1st April 1955. Based at Norman Wells, NT. • CF-CZO Pacific Western Airlines (Alberta) Ltd., Edmonton, AB. Regd Mar-1959. • CF-CZO Northward Aviation, Edmonton. AB. Circa 1965. • CF-CZO Ontario Northern Airways Ltd., Jellicoe, ON. Jul-1973. • CF-CZO Leased to Laurentian Air Services for the summer of 1975. • C-FCZO Returned to Ontario Northern. Re-regd 1975. • C-FCZO Slate Falls Airways, Sioux Lookout, ON. Jun-1978. • C-FCZO Raecom Air Ltd., Yellowknife, NT. Regd Sep-1981. Canx 09-Dec-1985. Total time: 17,546 hrs in 1985. Note: Mike Hackman Aircraft Sales Ltd., advertised the aircraft for sale in 1985 having a new interior with nine seats and with an asking price of $169,000CDN. • C-FCZO John Curry, Christina Lake, BC. Canx 06-Mar-1985. • C-FCZO Central Air Transport Ltd., Sioux Lookout, ON., to whom it was registered in May 1985. Accident: Sioux Lookout, ON 01-Mar-1986. A ski broke off on landing and the Otter nosed over. Accident: Nemeigusabins Lake, ON. 20-Feb-1988. The ski-equipped Otter was on a charter from Big Trout Lake. Shortly after touch down, the left ski broke loose, twisted and dug into the snow, causing the aircraft to pitch forward. The propeller struck the ice, damaging the blades and the left landing gear was also damaged. • C-FCZO Gold Belt Air Transport Inc., Pickle Lake, ON. Regd 06 -Oct-1985. Canx 01-Feb-1991. Re regd 10-Feb-1995. Canx 02-Feb-2000. • C-FCZO Osnaburgh Airways Ltd., Pickle Lake, ON. Regd 02-Feb-2000. Canx 22-Aug-2001. Regd 21-Apr-2006. Canx 31-Aug-2010. Regd 04-Jun-2013 & 05-Jun-2013. 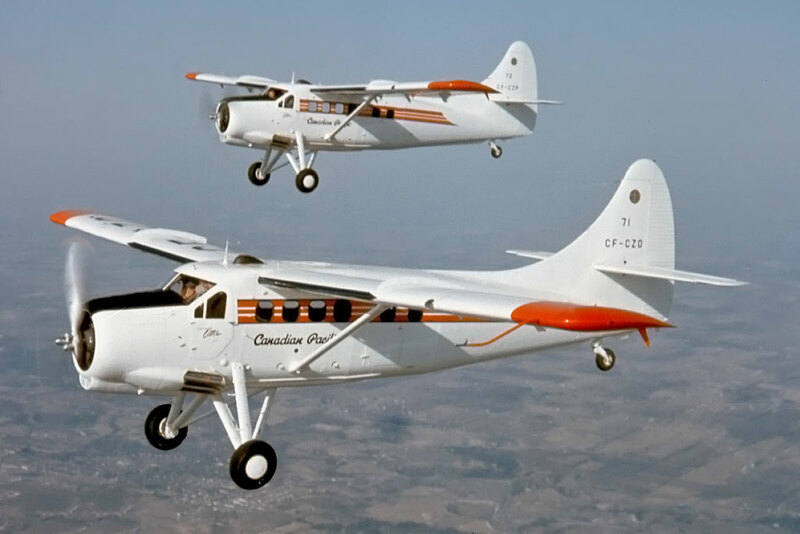 Otter 71 was delivered to Canadian Pacific Air Lines (CPA) on 1st April 1955 registered CF-CZO. On the same day, the airline took delivery of Otter number 69 which was registered CF-CZP and the careers of both these Otters were destined to move in tandem from 1955 until 1973. As already described in relation to number 69, they served first with CPA, passing to Pacific Western Airlines (Alberta) Ltd of Edmonton in March 1959 and to Northward Aviation in 1965, before going their separate ways in July 1973. With CPA, CZO was also based at Norman Wells and served the Mackenzie region. During the late fifties, its ports of call were Aklavik, Fort Good Hope, Fort McPherson, East Three, Fort Simpson, Fort Franklin, Fort Norman and Arctic Red River. Along with CZP in March 1959 it went to PWA and during the latter part of 1959 was active in northern BC. The Western Area SAR file records a flight by CZO from Kamloops to Prince George on 26th September 1959. In 1965 PWA sold its bush operation to Northward Aviation Ltd., of Edmonton, Alberta. Included in the sale were four PWA Otters (CZO, CZP, IKK and JAO). As with CZP, Al Williams book 'Bush and Arctic Pilot' also refers to CZO and its activities in the Northwest Territories. He describes his tasking during August 1967, flying gasoline drums into the Carcajou Lake area in support of mineral exploration camps. The Otter also flew in the Mackenzie Valley area supporting the Canadian National Telecommunications telephone upgrade work. It was also used to fly hunters into June Lake in the Yukon. CZO continued in use with Northward Aviation until July 1973 when it was sold to Ontario Northern Airways Ltd., of Jellicoe, Ontario. It went on lease to Laurentian Air Services for the summer of 1975, returning to Ontario Northern, by then registered C-FCZO. It was sold to Slate Falls Airways of Sioux Lookout, Ontario in June 1978. 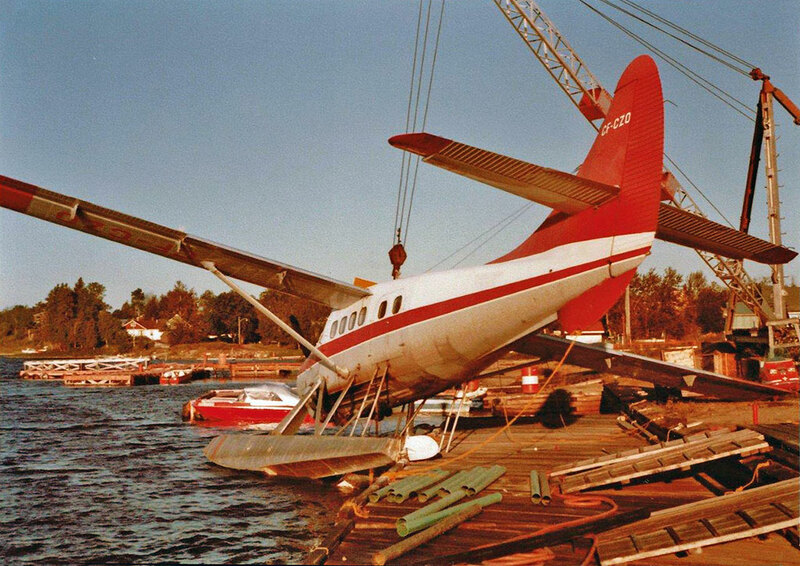 During August 1978 the aircraft was storm damaged while docked at Pelican Lake, Sioux Lookout. The aircraft was disassembled and taken to the airport for repairs. Back in service about ten days later. In September 1981 joined the fleet of Raecom Air Ltd., of Yellowknife, NWT where it re-joined its sister ship C-FCZP, as well as Otter C-GGSC which also flew for Raecom Air. CZO was noted parked at the Edmonton Airport during June and July 1984. 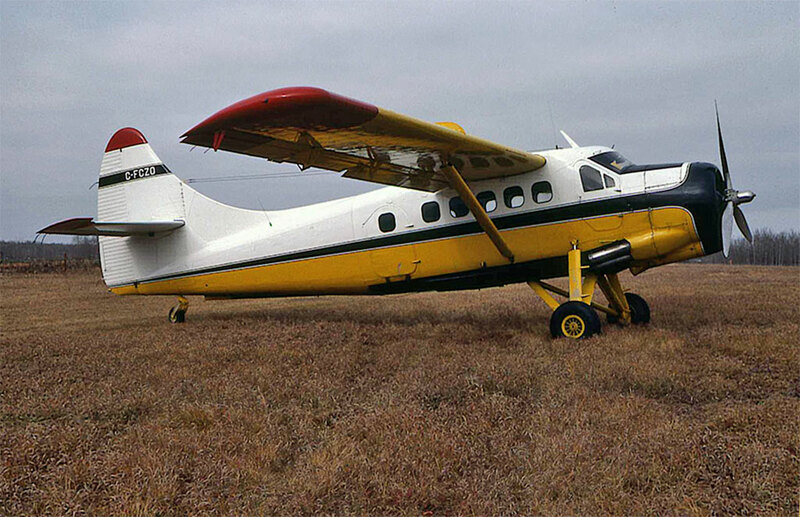 In 1985 CZO was put up for sale through Mike Hackman Aircraft Sales of Edmonton. It then had 17,546 hours on the airframe and was advertised as having a new interior with nine seats and with an asking price of $169,000 Canadian. It was sold to Central Air Transport Ltd., of Sioux Lookout, Ontario to whom it was registered in May 1985 and with whom it was to suffer a few incidents. On 1st March 1986 a ski broke off on landing at Sioux Lookout and the Otter nosed over. On 20th February 1988 it again suffered problems with its landing gear. The ski-equipped Otter was on a charter from Big Trout Lake to Nemeigusabins Lake, Ontario. Shortly after touch down, the left ski broke loose, twisted and dug into the snow, causing the Otter to pitch forward. The propeller struck the ice, damaging the blades and the left landing gear was also damaged. In October 1988 the Otter was sold to Gold Belt Air Transport Inc., of Pickle Lake, Ontario. On 5th June 1989, shortly after take-off from Pickle Lake, the engine began running rough and a precautionary landing was made on the lake. At the same location on 12th January 1990, oil appeared on the windshield after take-off. The Otter returned for a landing but rounded out too high because of the lack of visibility. Damage was caused in the hard landing that followed. The damage was repaired. 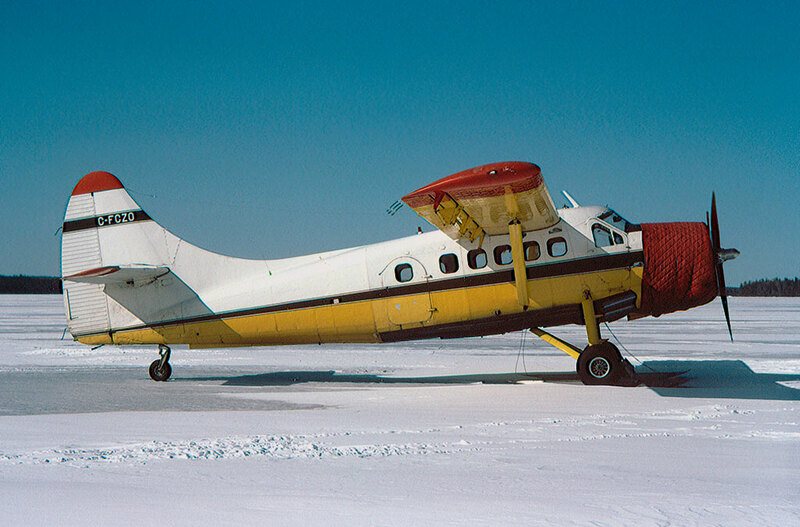 During the summer of 1998, the Otter flew on lease for Pickle Lake Air Services, returning to Gold Belt Air Transport whom it continued to serve until February 2000 when it was sold to Osnaburgh Airways Ltd., after Gold Belt suspended operations. With Osnaburgh Airways it remained based at Pickle Lake (Rat Rapids), flying alongside their Cessnas, Beaver and Norseman. 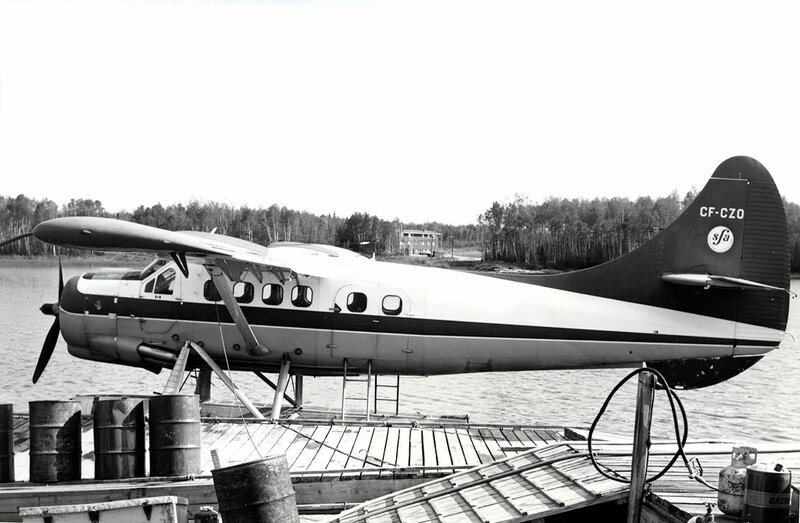 As well as tourists, hunters and fishermen during the summer months, the Otter was also used by Osnaburgh Airways to support mineral exploration camps in northern Ontario bush country and also to fly in fuel and freight to native reserves, such as Summer Beaver. During 2004, it was one of two Otters flying from Pickle Lake, the other being turbine Otter C-GCQA of North Star Aviation. 10 June 2004. CZO was operating ‘no radio’ in the Pickle Lake mandatory frequency area without sufficient advance co-ordination from the operator, which did not allow the required five minutes before the aircraft entered the area. The phone call indicated the Otter was estimating in 3 minutes. Earlier in the day the company gave 2 minutes notice before the Otter departed ‘no radio’ from the water base. 26 May 2008. CZO was inbound to the Pickle Lake water aerodrome. It called on final approach but did not report safely down. After two unsuccessful attempts to contact the Otter, the airport manager was dispatched to confirm the aircraft’s safe arrival. 17 June 2013. CZO on a flight to the Pickle Lake water aerodrome reported on finals but never reported down. Ontario Provincial Police were informed and the Rescue Co-Ordination Centre advised. The Police later confirmed the Otter was safely down at the water base. CZO continued to operate for Osnaburgh Airways during summer 2017, one of the few “classic” piston-engined Otters still flying, most others having been converted to turbine.